Drupal restaurant theme? We have 16 different themes featured! are featured at RestaurantThemes101.com ! Running a restaurant isn’t an easy job. Apart from taking care of the food and service, you also need to pay attention to advertising and presenting your restaurant online so you can attract many new customers. It’s not enough to have quality food in this time of fast spreading high technology, a good manager needs to be cunning and use all the tools available for improving their business. Creating a website can be tricky, especially when it comes to choosing the right theme for your website. Many people use Drupal, as one of the well known CMS platforms based on PHP and MySQL. It is very popular because it is very easy to manage and you don’t have to have any programming experience in order to create your very own website. 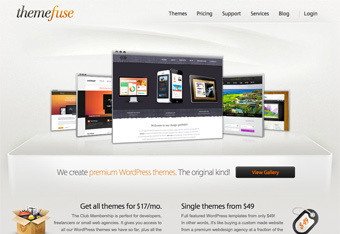 With thousands of users and many extensions come a large number of themes available for the platform. We search through them all and present only the finest Drupal restaurant themes to our readers. There are many restaurant templates for Drupal out there, and surely many of them look alike. If you don’t know what to look for, you won’t be able to choose the right one for you. This is why we review each and every theme in detail, and present the results of our research to our readers. Read all about the offered themes objectively presented by a reviewer who only strives to bring realistic facts about the themes to you pointing out the important features. Each theme can be rated by users and the results are displayed in an average star value, so you can see what other people, just like yourself, think about the theme apart from the reviewer. No lies – only facts and quality templates.